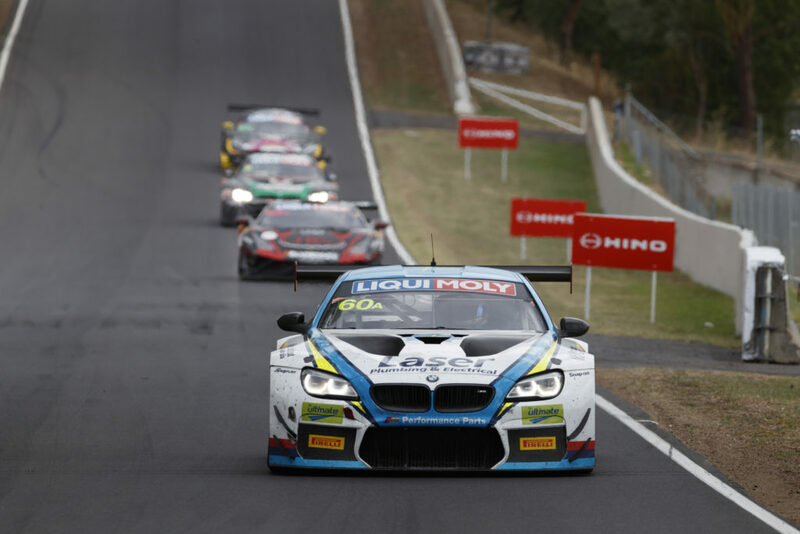 IN the same way that commentary around the Supercars Championship often involves the phrase ‘parity’, the upcoming GT3-centric Bathurst 12 Hour will produce plenty of discussion centred on the ‘Balance of Performance’ of competing vehicles. 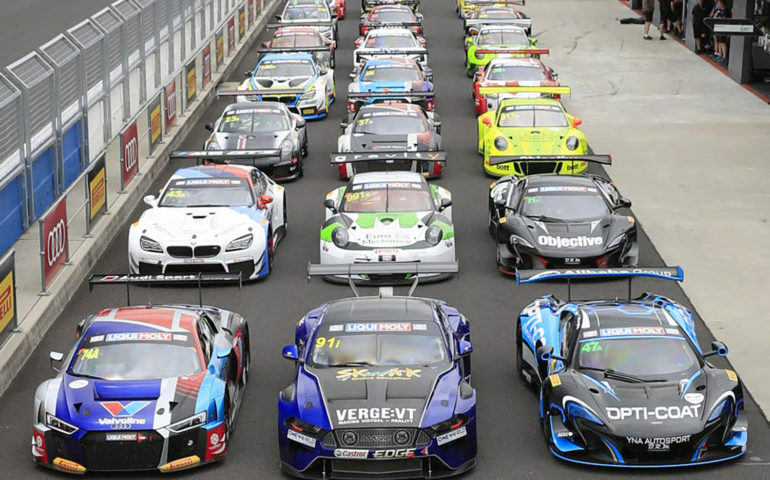 Broadly, the Supercars and GT3 means of ensuring fair, open competition between marques represent two different ways in achieving a similar result. Supercars’ technical system is well documented. Their system of establishing technical parity between cars ensures every competing brand produces the same horsepower and creates the same level of aerodynamic performance despite any technical differences in their build. The recent homologation of the Ford Mustang and minor changes to the Nissan Altima in the off-season have seen that process well covered of late, so we won’t go into it here. Dale Rodgers’ excellent 2018 feature with Supercars technical chief Dave Stuart covered a lot of that ground, too. Balance of Performance is an entirely different philosophy. In essence, while Supercars requires every car to be identical in performance, GT3 racing allows for different cars to have different positive (and negative) attributes while using a system of measures to ensure that, ultimately, all brands can produce the same level of performance in terms of lap time. And before we go into detail, don’t @ us about how you wish there was no parity and it was like the ‘good old days’ where the fastest car would win. The sport has evolved to a place where it’s important all competing brands can perceive to have a chance to win. There’s a time and a place for the other style of racing, and it’s called Sports Sedans. Go watch them. BALANCE of PERFORMANCE is the mechanism by which such a broad variety of competing vehicles can compete on a level playing field in any given race. Essentially, it allows a front-engines V12 Aston Martin Vantage compete with a V10-powered Audi R8 LMS with the engine mounted behind the driver and a Porsche 911 GT3R with the flat-six engine hanging over the rear axle – and everything in between. All these brands can compete on a level playing field, thanks to BoP. 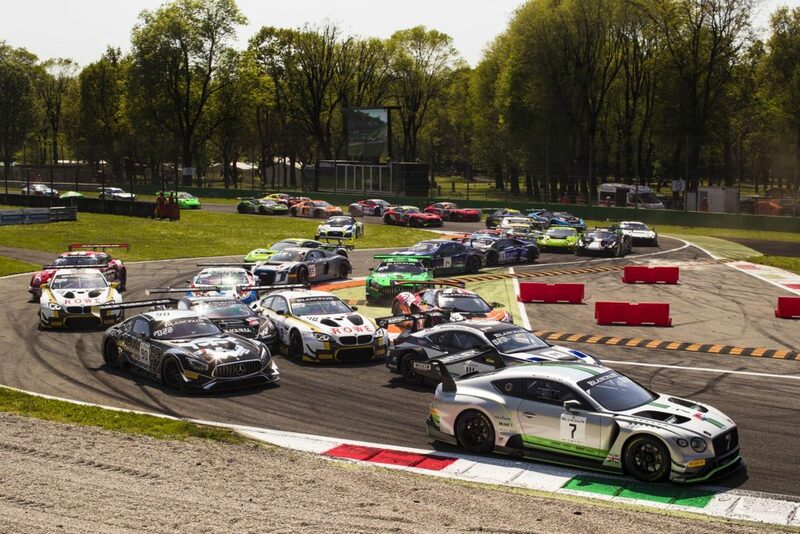 PIC: Blancpain GT Series. BoP for GT3 and GT4 events like the Bathurst 12 Hour are set by SRO Motorsport Group Technical Director Claude Surmont, who oversees the technical requirements of each category SRO manages. SRO uses an extensive system to set the BoP for all competing vehicles, starting with each model’s homologation as a GT3 or GT4 contender. A group test using the SRO’s own drivers is undertaken to measure each model against each other, assessing strengths and weaknesses and where the cars could potentially be changed to bring them closer together. Extensive computer simulations, using the homologation and testing data, are also used to help define the performance adjustments. The system uses a variation of weight, ride height, air inlet restrictions, refueling rig restrictions and, in the instances of turbocharged cars, maximum limits of turbo boost pressure across the rev-range to manage performance across each vehicle. While added weight will alter the overall performance of the car, the air restrictor and turbo boost settings change the horsepower and torque it produces. Mandating a minimum ride height changes the handling characteristics – cars with more downforce will be given a higher minimum ride height setting to balance that with cars that may not produce the same figures. Changing the rate at which the car receives fuel can either make pit stops quicker or longer for any given entry. In concert the various adjustments work together to ensure that each car can compete equally while not completely removing the inherent strengths and weaknesses in each model. BATHURST has proven to be one of the best places to showcase how BoP can work effectively. The finishing order of the 2018 race was proof that the system works effectively, with three different brands – Audi, Mercedes-AMG and Porsche – filling the podium. The unique nature of Mount Panorama’s 6.213km layout has traditionally proved an impressive advert for the BoP system. The combination of long straights, steep inclines, high speed sections and slower, more technical corners allows for a majority of competing models to utilise their relative strengths throughout each lap. For instance, the Mercedes-AMG and Bentley entries have traditionally been strong climbing the hill, thanks to their larger capacity engines with more torque. The Audi R8, meanwhile, is famed for being remarkable across the top of Mount Panorama where it can use it’s downforce and balance to fly from the Cutting to the Elbow. Last year the Porsche entries had comfortably the best fuel economy of the race while in the past Ferrari’s have been strong, consistent performers throughout much of the lap. McLaren’s 650s is renowned for being ultra-quick but challenging to drive on the limit while getting the most out of BMWs M6 has also proved hard work – though both have had success at Bathurst. Five different brands have filled the top five finishing positions in the race on two occasions (2015 and 2016), the 2015 race setting a record with seven brands represented in the top seven at the finish. Four different cars have won the last four races while a different marque has been on pole position for the last five straight years. OBVIOUSLY, BoP is not perfect. While Supercars teams aligned to a certain brand may complain from time to time about a perceived disadvantage (or advantage as it may be), GT3 teams and drivers often use the Balance of Performance of any given brand as a reason for a stout or poor performance. 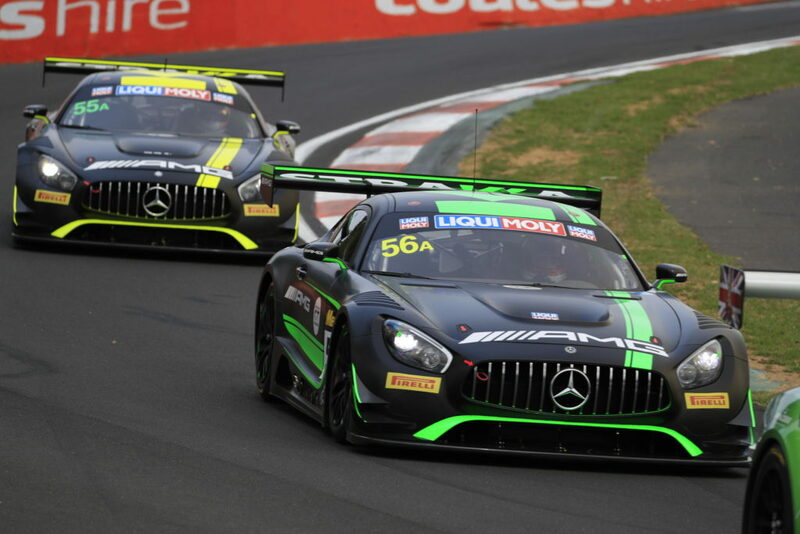 Fans of the 12-Hour will remember Mercedes-AMG teams muttering about their straight-line speed deficit during the thrilling conclusion to the 2017 race – one that saw Shane van Gisbergen’s AMG GT3 completely unable to fight with the Ferrari that would ultimately win. A year before Laurens Vanthoor was particularly vocal about how he would have to drive the Audi R8 at 11/10ths across the top to give them any hope of fending off cars from behind when they got to the straight. So while the stated aim of BoP – to have all the competing brands lapping within a tenth or two of each other – works a treat, often the real-world racing scenarios offer up different outcomes and show the various cars in a different light. BoP can also be a centre of controversy as governing bodies tweak the regulations across the course of the season – or even a weekend – if they notice that one car has a sizable advantage. There was a sigh of relief amongst the IMSA paddock when the governing body deemed that the GT Daytona class (which is made up of GT3 vehicles) competing in the Rolex 24 Hour this weekend would not have any adjustments heading into the event. Organisers of the World Endurance Championship often find themselves in the headlines following changes to the GT-E class, which also utilises a BoP system to equalise the field. However, while it’s not perfect, the system is generally pretty effective. And while it does have those who question it, it’s hard to be negative when GT3 racing produces such remarkable racing across such a broad and interesting group of players. In the real world there’s no conceivable way a Bentley Continental would be in the same ballpark as a McLaren 650S – yet the GT3 system allows them to go wheel-to-wheel on the circuit week in, week out in all corners of the world. And if such a system didn’t exist, there’s no way Bentley would have become involved in GT3 racing. I wouldn’t want to live in a world where those cars never existed, nor would their legion of fans. Ensuring the technical playing field is as level as possible is a prerequisite in modern motorsport. These days, brands and sponsors just aren’t going to compete if they feel like they’ll never have a chance to at least compete at the pointy end without spending billions of dollars. There’s still a market for that kind of racing – F1 and the aforementioned Sports Sedans, for example – but in the current market a system like BoP is a must. And in the end, most of the time the best teams and drivers still get up and win, which is what the whole point of the show is, anyway. You may not like it and that’s fine. But at the same time, I’ve not heard of many complaining about the last 30 minutes of the 2015 Bathurst 12 Hour, and that was probably the best example of GT3 racing that there’s ever been.